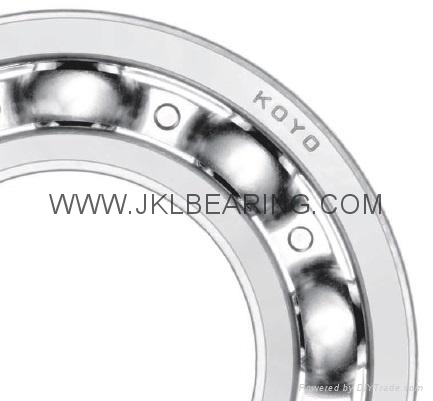 Bearing is a national key components of major technical equipment, the current cars, high-speed rail, wind power, precision machine tool spindle bearings supporting the other high-end bearings has been the soft underbelly of China's bearing industry, over-reliance on imports. Since the development of China's bearing industry can not keep up, the strong pull of the bearing imports. Domestic bearing casting of high-end equipment industry shoulder the important mission of localization in the "Twelfth Five-Year Plan" under the guidance of China's bearing industry, foundry industry development plan formulated. Developed the project and export two carriages to boost domestic mold industry development policy. In rail transportation, medical equipment, new energy, aerospace, automotive lightweight, rail transportation and other fields development, driven by China's bearing foundry industry has improved significantly. Bearing foundry industry in the traditional market stabilization unit forward while actively explore new markets, even in the past ignored the edge of the market has also been developed. According to the relevant plan, "Twelve Five" period, the high-speed rail will usher in the peak of construction, in 2011 the national railway infrastructure investment 700 billion yuan plan for the entire high-speed rail equipment manufacturing enterprises to provide a huge market opportunity. According to "long-term railway network plan in 2008 to adjust" to the 2012 China will build 42 high-speed rail passenger line, the total mileage will be more than 13,000 kilometers, which will form the EMU 800 new demand, by 2020 China's high-speed railway mileage will reach 18,000 kilometers, for our high-speed rail bearings provide a broad market space. The next three years of high-speed rail bearing market of more than 20 billion yuan. Kim, CEO Luo Baihui mold survey found that high-speed rail as a basis for parts of the high-speed train bearing areas, but it is the Swedish SKF, German FAG, NTN Japan and other international giants in firmly occupy the Chinese market. Although a small portion of domestic manufacturing enterprises to 200 kilometers per hour EMU level bearing, but the relevant procurement departments still using imported components, China's high-end bearing areas woeful.